I really wish we didn’t feel the need to compare all the time. Yep. These are all things I’ve caught myself saying before – both out loud and in the privacy of my own self-destructive, self-damaging, critical head. I know I’m not the only guilty one. 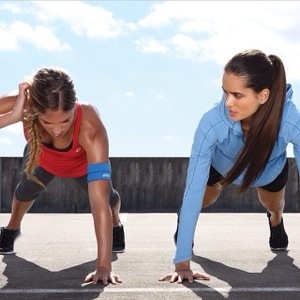 Are you always comparing yourself to others? We all compare. It’s in our nature (unfortunately). We are constantly striving to be better, to be like someone else, to have something someone else has. It doesn’t help that we are constantly bombarded by ideologies of ‘perfection’ in magazines, on tv and on social media that, let’s be frank, probably don’t realistically exist without the aid of photoshop, airbrushing or at the very least an Instagram filter. And even though we know this, we still do it. We still look at others and compare ourselves to them. Why can’t we just be happy with our beautiful, unique individualism? What’s the point in comparing ourselves to other people anyway? We will never be them. I’m all for striving for progress. I’m all for working to improve the person YOU are! I understand that looking up someone for ‘inspiration’ can help us achieve success. That is fine. But trying to be the same as someone else, or have exactly what someone else has, is just ridiculous.. and honestly, a dangerous recipe for disaster. Maybe that fit chick with the rippling 8-pac isn’t a realistic ideal for someone whose just started exercising this week. Or perhaps that 6ft tall Amazon woman with model legs isn’t the best inspiration for someone with a petite 5ft frame. 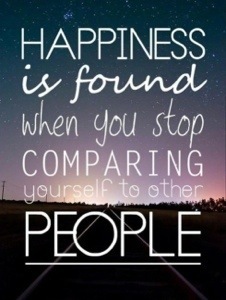 If we continually compare ourselves to others we will never be happy. Why? Because we can never be that person. We are all one-of-a-kind works of art. No two people are the same… and what a beautiful thought that is. To know that there is no one else out there who is the same as you. You are so special and so unique that there is no one else out there the same as you. You have to embrace YOU! Love YOU! All you can do is work towards being the best version of YOU! Stop comparing yourself to others and learn to love the person YOU are. So totally agree!!! I no longer compare myself to others because I’ve realized that I do love myself and love my unique features. I only focus on being the very best version of myself! Great post!! !